This phone case comes with Built-in Screen Protector for a 360° degree protection. Flip the kickstand for viewing convenience. 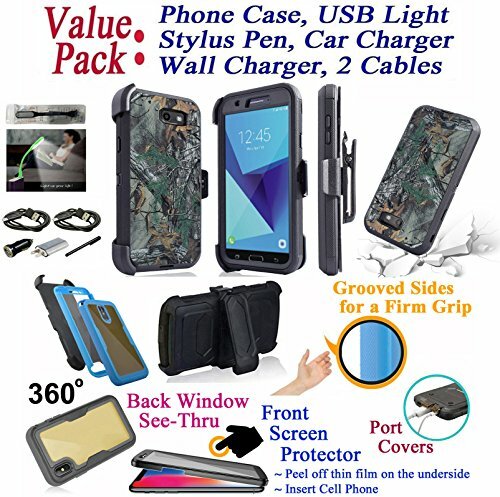 The multi-layer design, made with PC rugged holster, hard back case and silicone rubber shock absorbing gel giving great protection. Place the phone screen-side-in in the holster. Screen is shielded from bumps and when pressed on edge of desk or sorts. Or, place the phone screen-side-out, for a quick view. Fast turn-around shipping. Work to beat system estimated arrival day. If you have any questions about this product by 6goodeals, contact us by completing and submitting the form below. If you are looking for a specif part number, please include it with your message.